They all seem standard fare except for the last one, the keyboard folio. If you’re like me you will have admired the folio cases that come with a Microsoft surface device and wish that we had something similar for our Android devices. Well, it seems that we have to wish no longer. 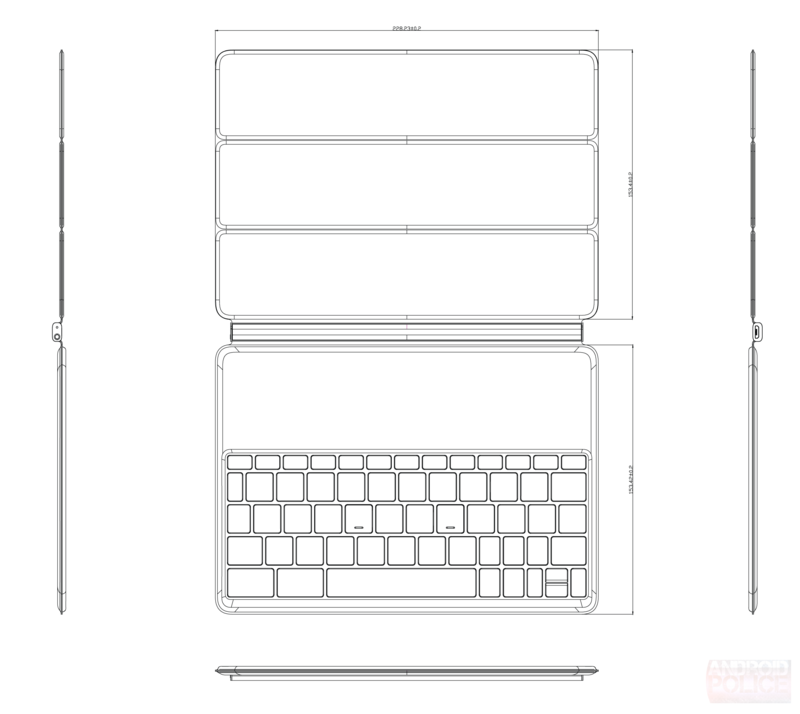 Rumours may not always come to fruition but today the dedicated staff over at Android Police received a leak which not only detailed a sketch of the keyboard folio but also some specifications. The keyboard folio will apparently have the standard cover flap that folds up to support the tablet while using the keyboard. When not in use the tablet will sit atop the keyboard with the segmented cover flap covering the screen. The folio is expected to arrive with Bluetooth 4.0 capabilities to allow it to connect with the tablet, as well as an NFC chip to allow quick pairing between the tablet and folio. The folio is also believed to have an on-board 450mAh battery to power the keyboard which seems to be charged via a standard microUSB port located within the hinge on the side. The dimensions of the folio is 228 x 320 x 5 mm. The keys are 3mm high with the key pitch being 1.5mm. While not massive this size seems relatively comfortable to me, especially for a highly portable device, where there are often trade-offs. According to Android Police’s source there is a standard QWERTY keyboard along with “Android function keys”. Given this size of the folio Android Police were able to do a mockup of the size of the HTC Nexus tablet compared to the Nexus 7. As can be seen the folio seems to confirm other rumours which have said that the HTC Nexus tablet’s display would a 4:3 ratio. This could possibly be a push for a device aimed at productivity rather than consuming media. While rumours are just that, rumours, this seems to be a fairly detailed rumour so while the confidence in it is high it is still not set in stone until the product surfaces. With a 4:3 ratio and a keyboard folio Google may well have a winner in my opinion, once they stick ChromeOS on it. Source: Android Police, and Upleaks Twitter. Yeah but the Chromebook Pixel is a laughably horrible buy. Better off getting a Windows laptop for that price (or even cheaper) and just run Chrome. There’s nothing the Pixel does that a Windows laptop doesn’t. Extra benefit of the laptop is that you’ll be able to run Windows programs and non-Chrome games if you want. Better off getting this Nexus 9 + a Windows laptop for the price of the Chromebook Pixel. Get more out of it and could save some coin. I wasn’t promoting a product I was just amused by the convergence of the two on specs. Chromebook Pixel was the first touch enabled Chromebook, was 4:3 rather than 16:9 and Android apps are coming. This “Nexus 9” has a touch screen, has ‘the power of the web’ through Chrome, is 4:3 and comes with a keyboard (even if it’s optional). Almost – Chromebook Pixel is 3:2. Interesting idea that the Nexus 9 could be going towards the AR of the Chromebook Pixel. 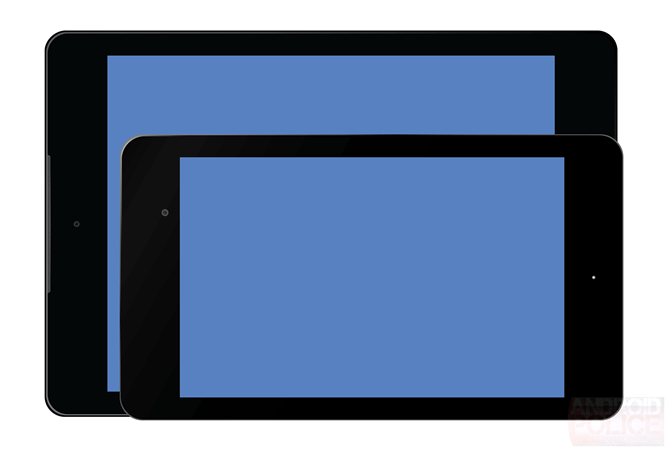 I’d love a ChromeOS/Android tablet – dual boot. XDA, get on that please. Crap. Well I knew it wasn’t the typical lol. Thanks. 4:3 is great IMO, makes sense for everything but watching movies. That said, as an owner of a 2nd gen N7, I’m still not sold on big Android tablets. There just aren’t enough dedicated big screen apps. If Paper, Hearthstone and FTL make the jump, I’ll happily ditch the big iPad. I’ve got Android L running on my N7 atm and it’s not blowing me away tbh… I hope there are quite a few improvements before final release or I won’t be excited for any Nexus devices running L.
If the tablet is pretty much a 9″ HTC One M8, I don’t think I could get my wallet and credit card out fast enough on release day. You mean your Google Wallet? The OnePlus 7 Pro will be their first flagship phone with a flagship price thanks to a new “breakthrough” display · 41 mins ago. Stay cool with Sensibo’s Air Conditioner Controller on sale at a hot price · 59 mins ago.